Let us help you with your taxes. 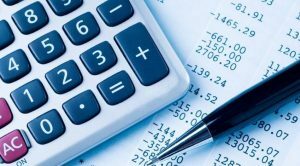 TAXPRO–UTAH.COM offers complete accounting, taxation and business support to clients in and around Salt Lake City, Utah. Our mission is to supply individuals and businesses with complete and professional bookkeeping, taxation, and payroll services using the most updated technology. Our accountants have the expertise to ensure clients can concentrate on their business and leave the rest to us. Our service is intended to be cost effective and thorough. Maintenance of general ledger and other accounting records on our in-house computers. Preparation of monthly, quarterly, and annual financial statements, including compilations, reviews & audits. Complete payroll processing including the preparation of all state and federal governmental reports and W-2 forms Business Tax Services. Organizing your chart of accounts and reviewing accounting entries to make end of the year tax filing easier. Setting up small business profit sharing and retirement plans, including simplified employee pension plans (SEPs). Making sure you have the QuickBooks® version that meets your needs. Helping you decide what features to use, from purchase order and job costing to professional services time billing. Streamlining your data entry to save you time and expense. Make your payroll quick, easy, and accurate. Talk to a dedicated, local Payroll Specialist to help keep your payroll running smoothly. Please call TAXPRO–UTAH Accounting and Payroll Service today for a free consultation, at (801)-860-8498.